A line of Teflon® coated mandrels that will not flake or crack during catheter fuse welding and tipping operations are free of PFOA (Perfluorooctanic acid) is available from Applied Plastics Co., Inc. of Norwood, Massachusetts. Applied Plastics’ PTFE Natural® Grey Forming Mandrels feature a proprietary surface preparation process and a PFOA-free coating that will not flake, peel, or crack. Providing a 0.5 dynamic coefficient of friction, these highly durable mandrels prevent the tubing from sticking, block shrinking, and allow over 25% elongation to simplify catheter removal. 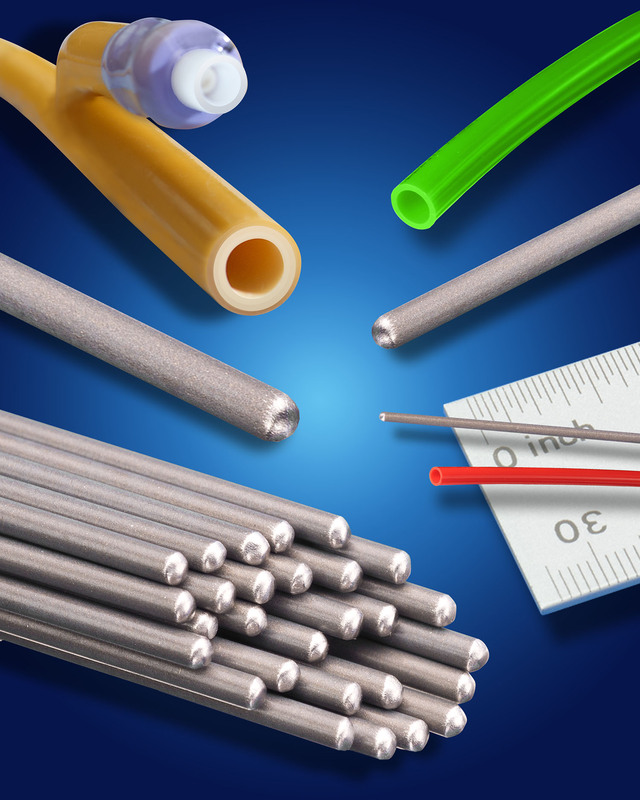 Ideally suited for catheter manufacturing, small diameter extruded tubing, and formed balloons, Applied Plastics’ PTFE Natural® Grey Forming Mandrels are chemically inert and can operate at 600°F continuous. Offered in stain-less steel or nitinol, they can be supplied precut in 0.005” to 0.50” dia. sizes with ±.0003” tolerance, depending upon size.